A GAL NEEDS...: $20 coupon code at eShakti!! $20 coupon code at eShakti!! Have you been able to wear all the cool, beautiful dresses you wanted this summer? I hope so, because we're looking at fall around the corner! 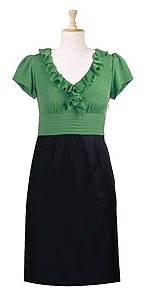 I love a great dress and I've seen plenty of great ones at eShakti! Right now, you can get $20 off on any dress purchase if you use the code at the bottom of this post! eShakti is wonderful because they customize your dress according to your specs! Just follow the easy-to-follow chart and answer the questions according to your needs! Check out some of these cute dresses! Check out the entire selection of cute dresses! They ship in 3 days with all your alterations made and ready to wear! Here is the coupon code: HELENA0811 Use it at checkout! You'll get a full $20.00 off of the price! Very huge and nice collection of dresses. The dresses are available in very cheap price. Hi, I just purchase dress from eshakti and really impressed that with the help of eshakti coupon codes I got 10% saving on that.